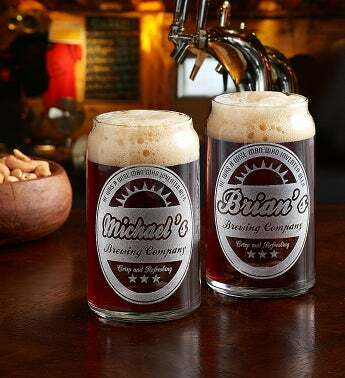 Give your favorite beer drinker a reason to say, “Cheers!” Our classic pair of glasses is designed to mimic the smooth contours of a traditional beer can, while still providing the flavor benefits of a glass. Best of all, you can personalize the set with one or two names for a truly unique gift they can enjoy for years to come. Each glass measures 5.25”H; holds 16 oz.